Renowned comedic actor Harry Shearer is not the kind of dude you want to piss off. When he wants his Simpsons contract renegotiated, he'll just pretend to quit the show. And when he feels like he's owed more royalties from a movie that came out some 32 years ago, he'll file a lawsuit for $125 million USD. Yes, Shearer has launched a Mr. Burns-sized lawsuit against Vivendi and StudioCanal, the companies who own the rights to This Is Spinal Tap. Shearer is accusing them of fraud and contract breach, and he just might have a point. 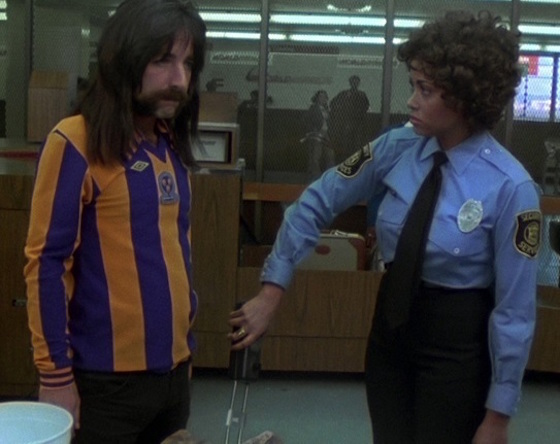 According to the complaint, Spinal Tap director Rob Reiner along with the band's Harry Shearer, Michael McKean and Christopher Guest were all promised 40 percent of income from the film, including all merchandise and music. "Almost 40 years ago, Christopher Guest, Michael McKean, Rob Reiner and I created the somewhat legendary band Spinal Tap," said Shearer. "We thought there was something real and really funny about the characters, and between that inception and the theatrical release of This Is Spinal Tap in 1984, we poured ourselves into nurturing and perfecting the paean to rock loudness that has entertained so many people, even today. But despite the widespread success of the film and its music, we've fallen victim to the same sort of fuzzy and falsified entertainment industry accounting schemes that have bedeviled so many other creators. In this instance, the fraud and negligence were just too egregious to ignore. Also, this time, it was personal." The lawsuit alleges that the band's creators only made $81 from merchandising between 1984 and 2006. Further, they claim they made $98 from soundtrack sales in that same time period. "This is a simple issue of artists' rights," Shearer said. "It is stunning that after all this time, two cinema releases, all the various home video format releases, all the records and CDs, and all the band-themed merchandise still widely available worldwide, the only people who haven't shared Spinal Tap's success are those who formed the band and created the film in the first place." "Vivendi and its subsidiaries – which own the rights to thousands and thousands of creative works – have, at least in our case, conducted blatantly unfair business practices," Shearer continued. "But I wouldn't be surprised if our example were the tip of the iceberg. Though I've launched this lawsuit on my own, it is in reality a challenge to the company on behalf of all creators of popular films whose talent has not been fairly remunerated.."
In addition to the lawsuit, Shearer has also addressed this issue via a new website called Fairness Rocks. Harry Shearer "(They Give You) FIFA"